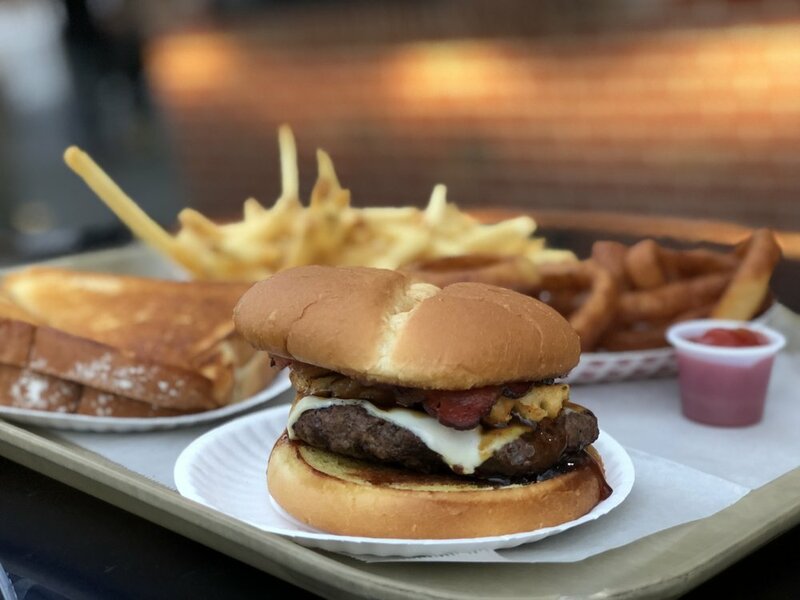 In the fall of 1962, Guy Bonomo and his wife Frances started the business with a simple menu of hot dogs and ice cream. At the time, the family business was called Dari Isle, however, in 1983, the name Dari Isle was replaced with Bonomo's Dari Creme, which it is presently known. 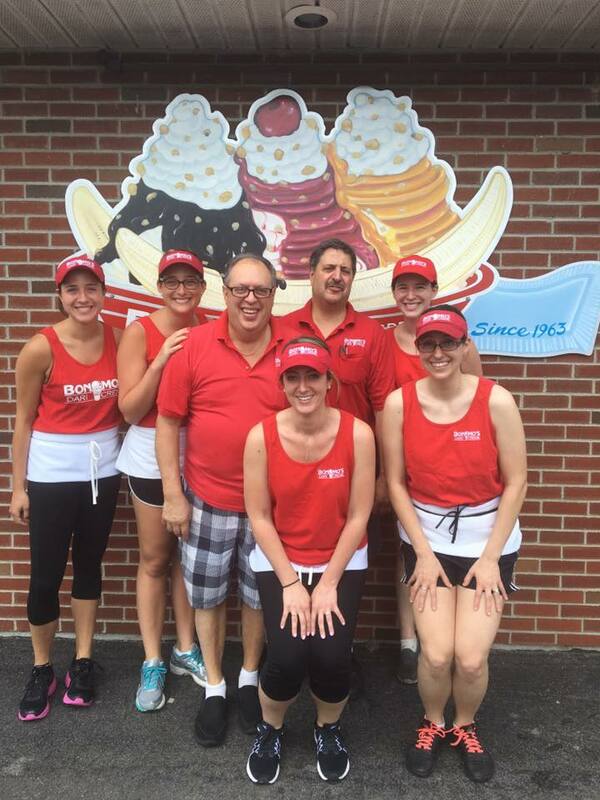 After 56 years of business, Bonomo's Dari Crème is still family owned and co-operated by Guy and Frances' two sons, Vin and Guy Bonomo. There is always a Bonomo in sight. Vinnie's kids, Nick, Sara and Andrea and Guy's kids, Elizabeth, Emily, Mary and Caroline can all been seen waiting on customers or in the back cooking. Yes, Guy and Frances do stop in every so often to check up on their two sons and grandchildren. Bonomo's was remodeled in the fall of 1986 for the upcoming 1987 season, adding a new updated look while trying to keep the nostalgic Dari Isle design. 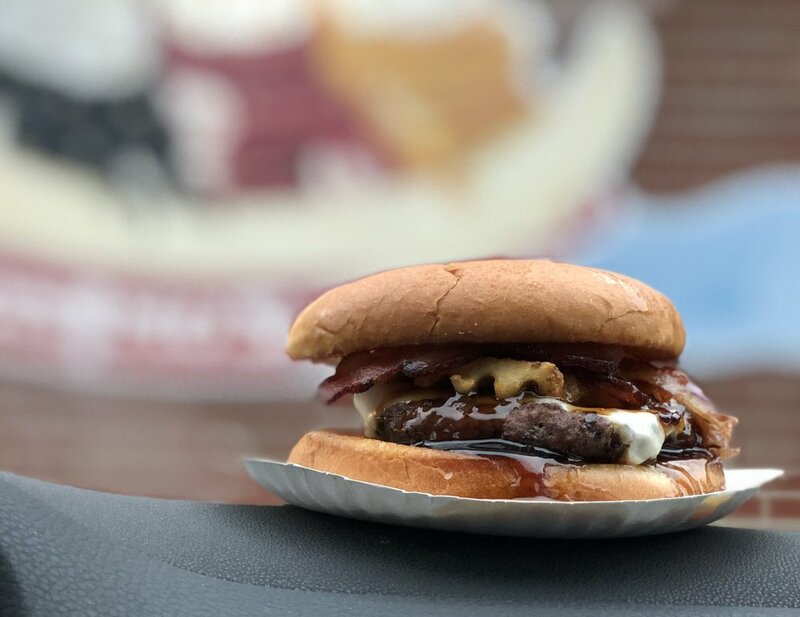 In 1991, In addition to our delicious hot dogs, we introduced many new grill items: burgers, various barbeques such as pork, ham, turkey and beef, chicken tenders, French fries, and steak sandwiches. We are constantly trying new things to keep up with consumer and market trends. 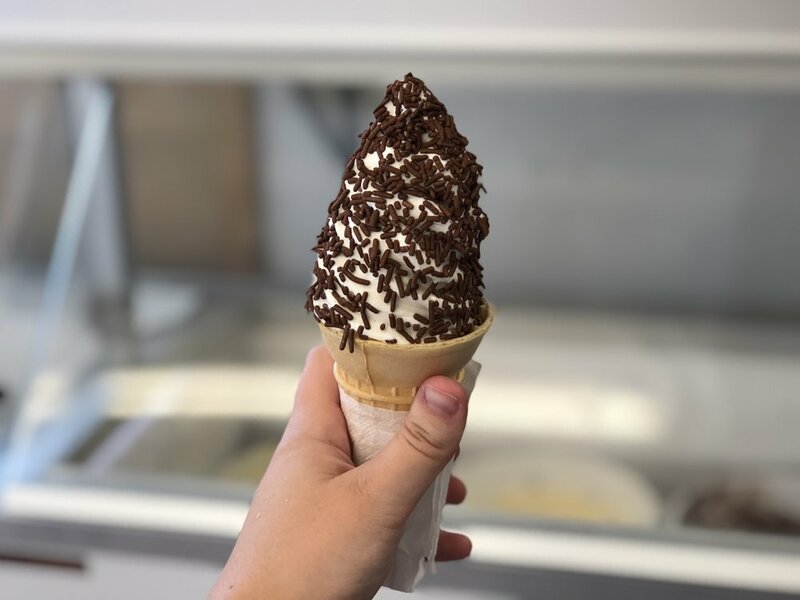 Today's ice cream menu is more extensive, covering various homemade hard ice cream flavors, soft ice cream, fat-free / sugar-free soft ice cream, flavor burst, and of course, the area's best homemade Italian ices which are made on the premises and sure to satisfy all. 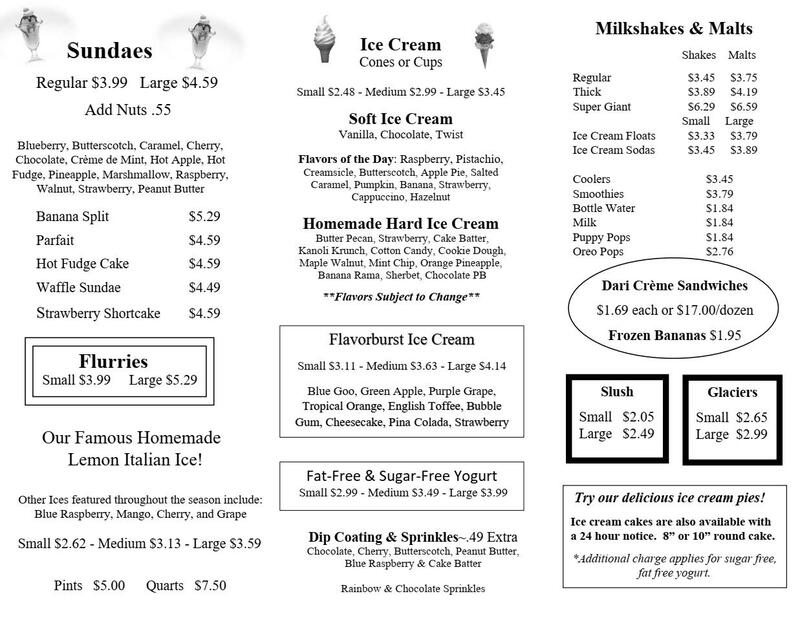 And yes, all the hard ice cream is homemade! Book a mini golf party today!